WE DISCOVER THE greatness INSIDE OF OURSELVES. And. The path is far from linear. Along the way, the noise will get loud - out there. And, inside our mind. Fear and self-doubt will come knocking. That doesn’t mean they get to drive. We’ll be thrown challenges. Some may even brings us to our knees. We can control how we respond. Our power isn’t in the not-falling down. Our power lies in our ability to rise. Stronger. Healthier. Happier. More fulfilled. Authentically aligned with what matters most. I’m an Olympic gold medalist, high-performance coach, transformational speaker, educator and entrepreneur. And, I’m a recovering perfectionist, mother of four girls - and a survivor of so many things. I know what it feels like to live out a dream. And. I know what it feels like to achieve, and still feel unfulfilled. I know what it feels like to relentlessly push and rail against the parts of me that felt broken. I also know what it feels like when we’re willing to choose a different kind of hard. When we’re willing to choose love over fear. To choose courage over comfort. And compassion and connection over self-judgement and isolation. We become braver, more resilient, more mindful leaders. Opening up space to achieve AND feel fulfilled. There is greatness inside of you, too. story holds the power to transform. And reminds us that we’re not alone. Seeds are planted. Inspiration flows. Skill sets expand. Sparks turn into full blown flames. Samantha is an engaging public speaker who has more than 19 years of experience, which includes her TEDx Talk: The Weight of Gold: An Olympian's Path to Recovery. She's been featured as a keynote, expert panelist, workshop facilitator, and seminar leader. 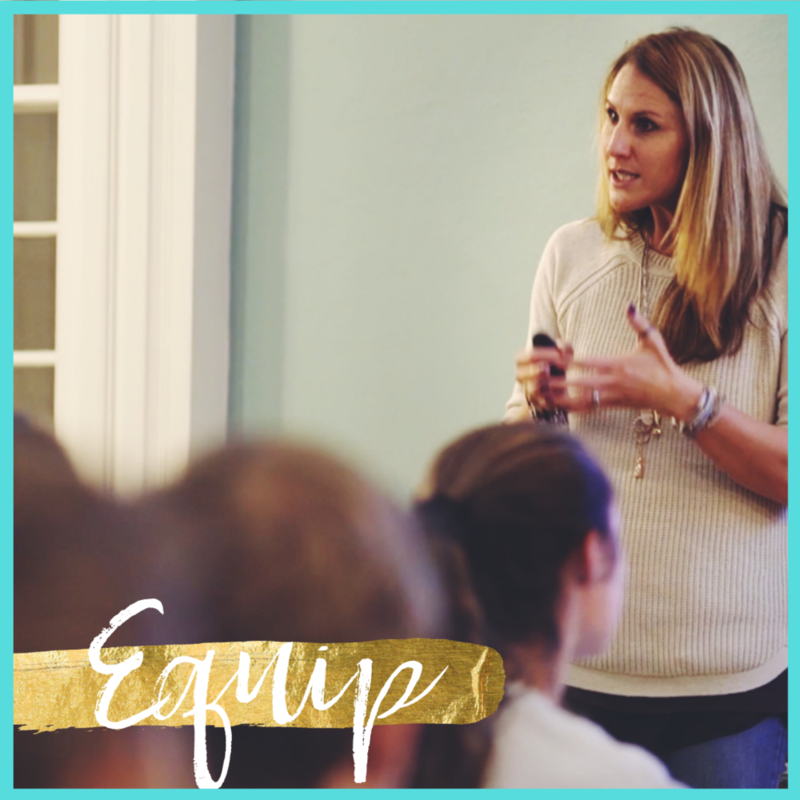 Samantha customizes her presentations and workshops to meet the needs of the audience she's serving. Samantha has worked with high school and collegiate students and student-athletes; school districts; athletic departments; women in business groups; wellness entrepreneurs; and governing organizations, most notably, USA Swimming. "Often times it is difficult to connect with teenage audiences. During Samantha's "Dreams Come True" presentation at the Bay State Games, I looked at the audience and not one teenager was on their phone. They were listening so intently to her. Samantha's story is a must hear for any athlete, coach, and parent! I've had the opportunity to work with, and listen to, many guest speakers. It is clear that Samantha loves what she does and her connection to the athletes is genuine. I'm so happy we are able to connect with Samantha and have her talk to our athletes about her journey from competing in the Bay State Games, as a high school athlete, to winning an Olympic gold medal! Samantha was so easy to work with and very accommodating to meet as many athletes as possible." 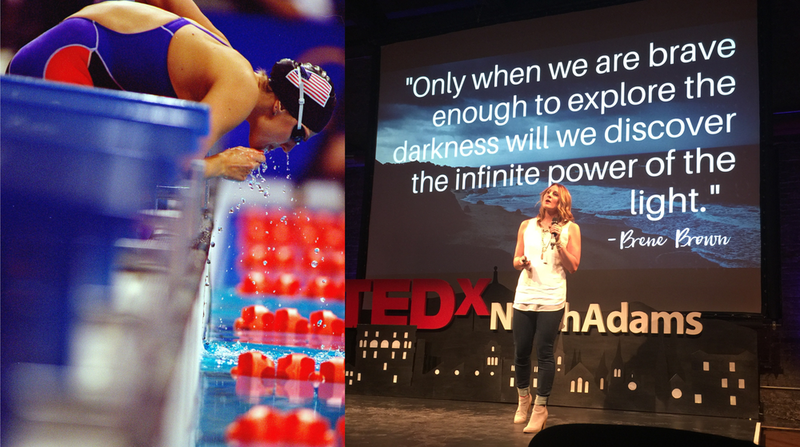 Check out Samantha's TEDxNorthAdams talk, "The Weight of Gold: An Olympian's Path to Recovery"
At 18-years-old, Samantha stood atop the Olympic podium in Sydney, Australia after swimming the lead-off leg of the 800 freestyle relay. Her childhood dream realized. That moment changed her life - but not in the way one might think. In this talk, Samantha shares the lessons she's learned in her rise from the rubble. Samantha Livingstone is an Olympic Gold Medalist, transformational speaker, high performance coach, recovering perfectionist and mama of four girls. After a traumatic and perspective-shifting experience involving her young daughter, she took a leap into the world of entrepreneurship to live her dream. Samantha is the founder of Livingstone High Performance, LLC. and the Rise Free Academy, an 8-module online academy infused with live coaching. 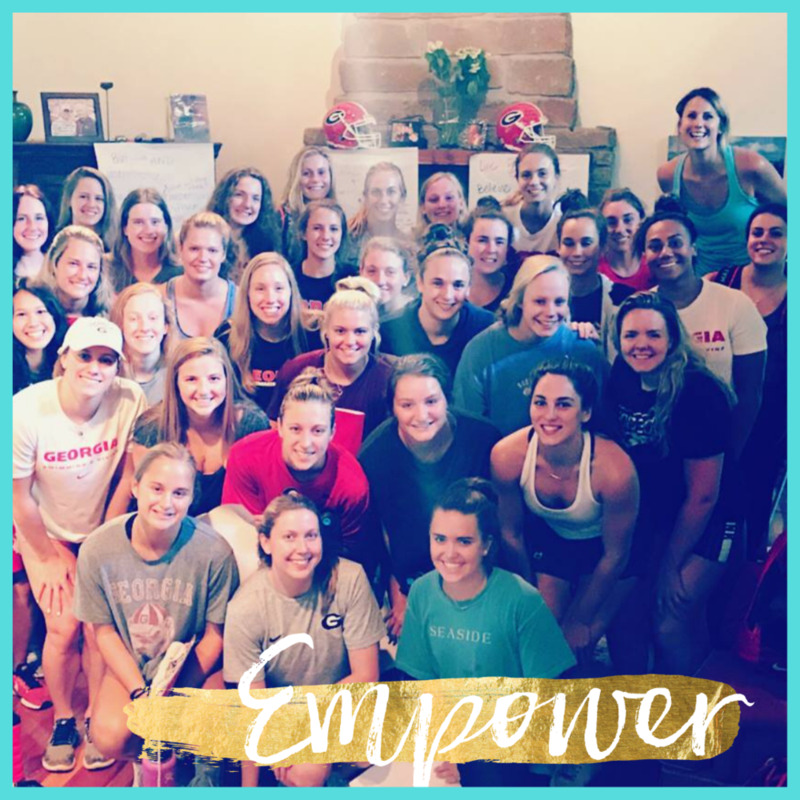 She helps athletes, coaches and women who lead to develop the skills needed to cultivate high-performance - to achieve AND feel fulfilled along the way. 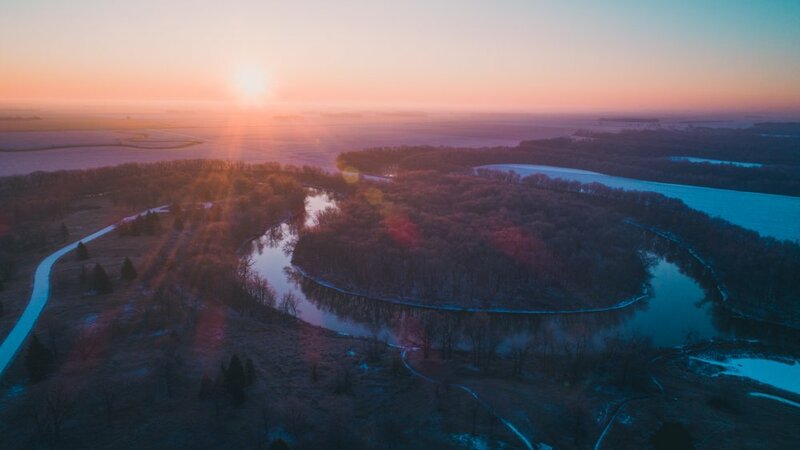 In addition to private and group coaching, Samantha consults with teams and organizations on mental wellness initiatives, leadership, culture, courage building, rising skills and creating high-performance environments. To read more about Samantha, head over here. To download her media kit, click here.